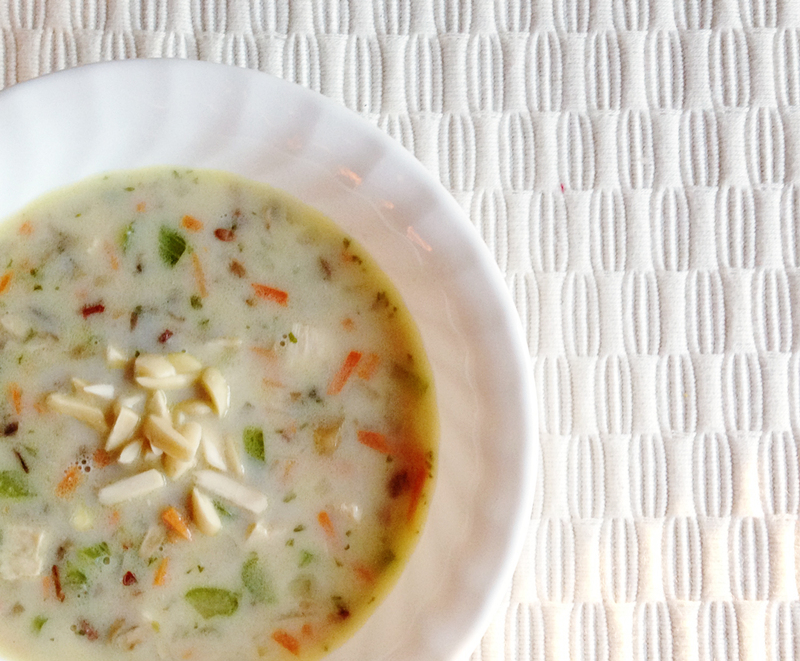 A week or two ago I was on a quest for an awesome Chicken+Wild Rice Soup recipe. You may remember me asking about recipes on Facebook. I love that soup and it’s so hard to come by. And to top it off, my favorite place to get it on rare occasions, Kneaders, wasn’t making it anymore. So sad. So rather than try to find some place that made this most awesome blend of flavors in one great soup, I decided I would search to find my own so I could make it at my own will and savory pleasure. Note: The soup is most awesome in itty bitty bites. Chopped is the way to go, even with the chicken. Cook rice according to directions. Wild rice takes 45 minutes-ish. In a stockpot, sauté the garlic and onions in a little butter for maybe ten minutes. Add chicken broth, carrots, celery, mushroom, parsley, thyme, chicken granules and chicken. Boil for 30 minutes (while rice is cooking). Add wild rice. Add more if you like more. Let it cook together a little to get the flavors all working together. Additional note: I used the frozen Tyson Diced Chicken because it’s already cooked. Once you let it thaw a little, you can chop it up into the itty bitties. Much easier than cooking raw chicken. Rotisserie chicken would be good too. Thanks for the recipe Kerri, this does look very good. Can’t wait to try it! Sounds yummy! But…I have to ask…what are chicken granules?